Can a machine be conscious? How? Asking whether a machine can be conscious is rather like asking whether one has stopped beating one’s wife: The question is so heavy with assumptions that either answer would be incriminating! The answer, of course, is: It depends entirely on what you mean by “machine”! If you mean the current generation of man-made devices (toasters, ovens, cars, computers, today’s robots), the answer is: almost certainly not. Empirical risk besets all scientific hypotheses, but let us agree that it is not something we will worry about here. There is no need for roboticists to be holier than physicists. The second reason for the “almost” is peculiar to robotics, however, and it is called (2) the “other minds problem” (Harnad 1991): There is no way to be certain that any other entity than myself is conscious (I am speaking deictically: please substitute yourself for me, if you too are conscious). This too we owe to Descartes. So let us agree not to worry about the other-minds problem for now: People other than myself are almost certainly conscious too, and toasters and all other human artifacts to date are almost certainly not. And even that would be rather vague, for “man-made” is itself rather vague. Common sense dictates that human procreation does not count as “man-making” in this context. But what about genetic or other biological engineering? If the day comes when we can craft organisms, even humans, molecule by molecule, in the laboratory, does anyone  or rather, anyone who has agreed to discount the other-minds problem when it comes to naturally crafted fellow-humans  doubt that such a bottom-up construction of a clone would be conscious too? So “man-made” is a wishy-washy term. It does not pick out what we mean by “machine” here. Surely a toaster (that very same device) would not become more eligible for consciousness if it happened to grow on a tree instead of being fabricated by one of us. 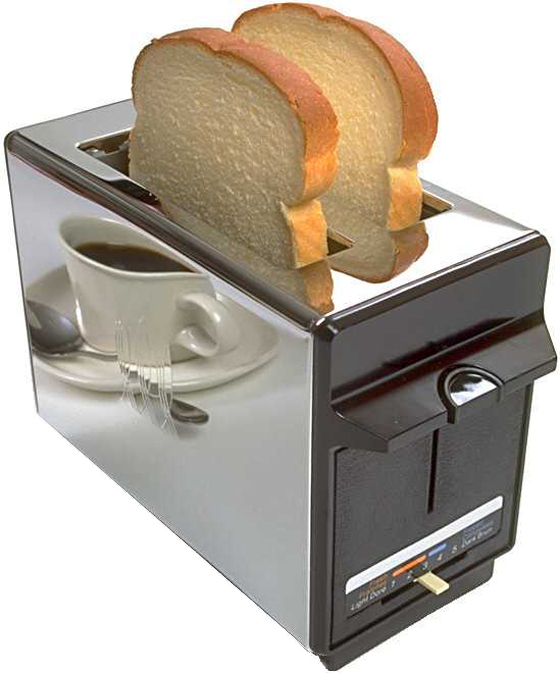 By the same token, a toaster would not become any less of a “machine” (whatever that turns out to mean) by growing on a tree: Two toasters, identical right down to the last component, one of which I built and the other of which grew on a tree, are surely both “machines” (whatever that means) if either one of them is. Another way to put this is that we need a definition of “machine” that is strictly structural/functional, and not simply dependent on its historic origins, if we want to make our question about what machines can and cannot do (or be) into a substantive rather than an arbitrary one. But I am afraid that if we do follow this much more sensible route to the definition of “machine”, we will find that a machine turns out to be simply: any causal physical system, any “mechanism”. And in that case, biological organisms are machines too, and the answer to our question “Can a machine be conscious” is a trivial “Yes, of course.” We are conscious machines. Hence machines can obviously be conscious. The rest is just about what kinds of machines can and cannot be conscious, and how  and that becomes a standard empirical research program in “cognitive science”: The engineering side of cognitive science would be the forward-engineering of man-made conscious systems and the biological side of cognitive science would be the reverse-engineering of natural conscious systems (like ourselves, and our fellow-organisms): figuring out how our brains work. Except for one problem, and it is the one that risked coming back to haunt us: What does it mean to “forward-engineer” (or, for that matter, to “reverse-engineer”) a conscious system? It is to give a causal explanation of it, to describe fully the inner workings of the mechanism that gives rise to the consciousness. Let us take a less problematic example: To forward-engineer a cardiac system (a heart) is to build a mechanism that can do what the heart can do. 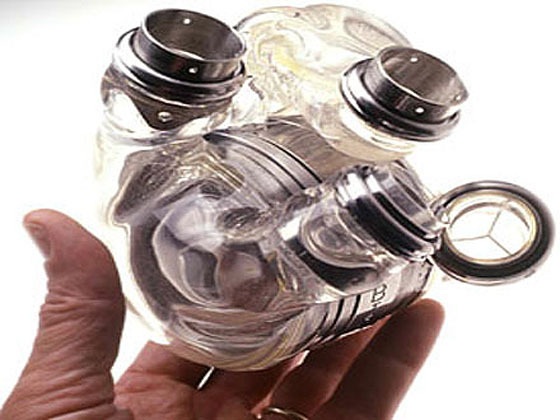 To reverse-engineer the heart is to do the same thing, but in such a way as to explain the structure and the function of the biological heart itself, and not merely create a prosthesis that can take over some of its function. Either way, the explanation is a structural/functional one. That is, both forward and reverse engineering explain everything that a heart can do, and how, whereas reverse engineering goes on to explain what the heart is (made out of), and how it in particular happens to do what hearts can do. Now let us try to carry this over to the brain, which is presumably the organ of consciousness. To forward-engineer the brain is to build a mechanism that can do what the brain can do; to reverse engineer the brain is to do the same thing, but in such a way as to explain the structure and function of the biological brain itself. Either way, the explanation is a structural/functional one. That is, both forward and reverse engineering explain everything that a brain can do, and how, whereas reverse engineering goes on to explain what the brain is (made out of), and how it in particular happens to do what brains can do: how it works. How does the ghost of the other-minds problem spoil this seemingly straightforward extension of the cardiac into the cogitative? First, consider the forward-engineering: If we were forward-engineering cardiac function, trying to build a prosthesis that took over doing all the things the heart does, we would do it by continuing to add and refine functions until we eventually built something that was functionally indistinguishable from a heart. (One test of our success might be whether such a prosthesis could be implanted into humans from cradle to grave with no symptom that it was missing any vital cardiac function.) This forward-engineered cardiac system would still be structurally distinguishable from a natural heart, because it had omitted other properties of the heart  noncardiac ones, but biological properties nonetheless  and to capture those too may require reverse-engineering of the constructive, molecular kind we mentioned earlier: building it bottom-up out of biological components. The thing to note is that this cardiac research program is completely unproblematic. If a vitalist had asked “Can a machine be cardiac?” we could have given him the sermon about “machines” that we began with (i.e., you should instead be asking “What kind of machine can and cannot be cardiac, and how?”). Next we could have led him on through forward-engineering to the compleat reverse-engineered heart, our constructed cardiac clone, using mechanistic principles (i.e., structure, function, and causality) alone. At no point would the cardiac vitalist have any basis for saying: “But how do we know that this machine is really cardiac?” There is no way left (other than ordinary empirical risk) for any difference even to be defined, because every structural and functional difference has been eliminated in the compleat reverse-engineered heart. The same would be true if it had been life itself and not just cardiac function that had been at issue: If our question had been “Can a machine be alive?” the very same line of reasoning would show that there is absolutely no reason to doubt it (apart from the usual empirical risk, plus perhaps some intellectual or technological doubts of the Alpha Centauri sort). Again, the critical point is when we ask of the man-made, reverse-engineered clone: “But how do we know that this machine is really alive?” If there are two structurally and functionally indistinguishable systems, one natural and the other man-made, and their full causal mechanism is known and understood, what does it even mean to ask “But what if one of them is really alive, but the other is not?” What property is at issue that one has and the other lacks, when all empirical properties have already been captured by the engineering (Harnad 1994)? Yet this last worry  “How can we know it’s alive?”  should sound familiar. It sounds like the other-minds problem. Indeed, I suspect that, if we reflect on it, we will realize that it is the other-minds problem, and that what we are really worrying about in the case of the man-made system is that there’s nobody home in there, there is no ghost in the machine, And that ghost, as usual, is consciousness. That’s the property that we are worried might be missing. So chances are that it was always animism that was at the heart of vitalism. Let us agree to set vitalism aside, however, as there is certainly no way we can know whether something can be alive yet not conscious (or incapable of returning to consciousness). Plants and micro-organisms and irreversibly comatose patients will always be puzzles to us in that respect. So let us not dwell on these inscrutable cases and states. Logic already dictates that any vitalist who does accept that plants are not conscious would be in exactly the same untenable position if he went on to express scepticism about whether the compleat artificial plant is really alive as the sceptic about the compleat artificial heart (worried about whether it’s really a heart): If there’s a difference, what’s the difference? What vital property is at issue? If you can’t find one (having renounced on consciousness itself), then you are defending an empty distinction. But the same is most definitely not true in the case of worries about consciousness itself. Let us take it by steps. First we forward-engineer the brain: We build a robot that can pass the Turing Test (Turing 1950; Harnad 1992): It can do everything a real human can do, for a lifetime, indistinguishably from a real human (except perhaps for appearance: we will return to that). Let us note, though, that this first step amounts to a tall order, probably taller than the order of getting to Alpha Centauri. But we are talking about “can” here, that is, about what is possible or impossible (for a machine), and how and why, rather than just what happens to be within our actual human technological reach. So supposing we do succeed in building such a Turing-scale robot (we are no longer talking about toasters here). Now, the question is whether he is really conscious: On the face of it, the only respect in which he is really indistinguishable from us is in everything he can do. But conscious is something I am, not something I do. In particular, it is something I feel; indeed, it is the fact that I feel. So when the sceptic about that robot’s consciousness  remember that he cannot be a sceptic about machine consciousness in general: we have already eliminated that by noting that people are a kind of machine too  wants to say that that robot is the wrong kind of machine, that he lacks something essential that we humans have, we all know exactly what difference the sceptic is talking about, and it certainly is not an empty difference. He is saying that the robot does not feel, it merely behaves  behaves exactly, indeed Turing-indistinguishably  as if it feels, but without feeling a thing. It is time to remind ourselves of why it is that we agreed to set aside the other-minds problem in the case of our fellow-human beings: Why is it that we agreed not to fret over whether other people really have minds (as opposed to merely acting just as if they had minds, but in reality being feelingless Zombies)? It was for the same kind of reason that we don’t worry about empirical risk: Yes, it could be that the lawful regularities that nature seems to obey are just temporary or misleading; there is no way to prove that tomorrow will be like today; there is no way to guarantee that things are as they appear. But there is no way to act on the contrary either (as long as the empirical regularities keep holding). Empirical risk is only useful and informative where there is still actual uncertainty about the regularities themselves: where it is not yet clear whether nature is behaving as if it is obeying this law or that law; while we are still trying to build a causal explanation. Once that is accomplished, and all appearances are consistently supporting this law rather than that one, then fretting about the possibility that despite all appearances things might be otherwise is a rather empty exercise. It is fretting about a difference that makes no difference. 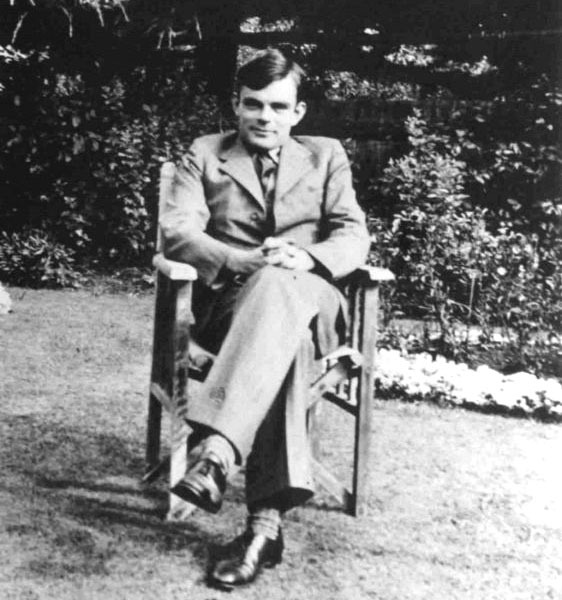 Of course, as philosophers are fond of pointing out, our question about whether or not our Turing robot feels is (or ought to be) an ontic question  about what really is and is not true, what really does or does not, can or cannot, exist  rather than merely an epistemic question about what we can and cannot know, what is and is not “useful and informative”, what does or does not make an empirical difference to us. Epistemic factors (what’s knowable or useful to know) have absolutely no power over ontic ones (what there is, what is true). It would be wise for mere cognitive scientists to concede this point. Just as it is impossible to be certain that the laws in accordance with which nature seems to behave are indeed the true laws of nature, it is impossible to be certain that systems that behave as if they feel, truly feel. Having conceded this point regarding certainty, however, only a fool argues with the Turing-Indistinguishable: Yes, the true laws could be other than the apparent laws, but if I can’t tell the two apart empirically, I’d best not try to make too much of that distinction! By the same token, a robot that is indistinguishable for a lifetime from a feeling person might be a Zombie, but if I can’t tell the two apart empirically, I’d best not try to make too much of that distinction (Harnad 2000). Indistinguishable? But surely there are plenty of ways to distinguish a robot from a human being. If you prick us, do we not bleed? So perhaps the sceptic about the forward-engineered robot should hold out for the reverse-bio-engineered one, the one made out of the right stuff, Turing-indistinguishable both inside and out, and at both the macro and micro levels. It is only about that machine that we can reply to our reformulated question  “What kinds of machine can and cannot be conscious?”  that only that kind can. But would we be right, or even empirically or logically justified in concluding that? To put it in a more evocative way, to highlight the paradoxical polarity of the “risks” involved: Would we be morally justified in concluding that whereas the reverse-bioengineered machines, because they are empirically indistinguishable from natural machines like us, clearly cannot be denied the same human rights as the rest of us, the forward-engineered machines, because they are merely Turing-indistinguishable from us in their (lifelong) behavioral capacity can be safely denied those rights and treated as unfeeling Zombies (toasters)? It has been found that children after a certain age, and certain animals, have considerable skill in detecting or inferring what others (usually members of their own species) are feeling and thinking (Whiten 1991; Baron-Cohen 1995). The propensity for developing and exercising this mind-reading skill was probably selected for by evolution, hence is inborn, but it also requires learning and experience to develop. An example of its more innate side might be the capacity to understand facial expressions, gestures and vocalizations that signal emotions or intentions such as anger and aggression; a more learning-dependent example might be the capacity to detect that another individual has seen something, or wants something, or knows something. Let us note right away that this sort of mind-reading is a form of Turing-testing: inferring mental states from behavior. The “behavior” might be both emitted and detected completely unconsciously, as in the case of the release and detection of pheromones, or it might be based on very particular conscious experiences such as when I notice that you always purse your lips in a certain way when you think I have lied to you. And there is everything in between; my sense of when you are agitated vs. contented, along with their likely behavioral consequences, might be a representative midpoint. Language (which, let us not forget, is also a behavior) is probably the most powerful and direct means of mind-reading (Harnad 1990; Cangelosi & Harnad 2000). Hence, apart perhaps from direct chemical communication between brains, all mind-reading is based on behavior: Turing-testing. It could hardly have been otherwise. We know, again since at least Descartes, that the only mind we can read other than by Turing-testing is our own! As far as all other minds are concerned, absent genuine telepathic powers (which I take to be a fiction, if not incoherent), the only database available to us for other-mind-reading is other-bodies’ behavior. We do have to be careful not to make the ontic/epistemic conflation here: The foregoing does not mean that all there is to mind is behavior (as the blinkered behaviorists thought)! But it does mean that the only way to read others’ minds is through their behavior, i.e., through Turing-testing. Now, back to our two robots, the reverse-bioengineered one to whom we were ready to grant human rights and the merely forward-engineered one about whom we were not sure: Both are Turing-indistinguishable from us behaviorally, but only the first is anatomically correct. We’re all machines. Is only the first one the right kind of machine to have a mind? On what basis could we possibly conclude that? We have ascertained that all mind-reading is just behavior-based Turing-testing, and all three of us (the two man-made robots and me) are indistinguishable in that respect. What else is there? 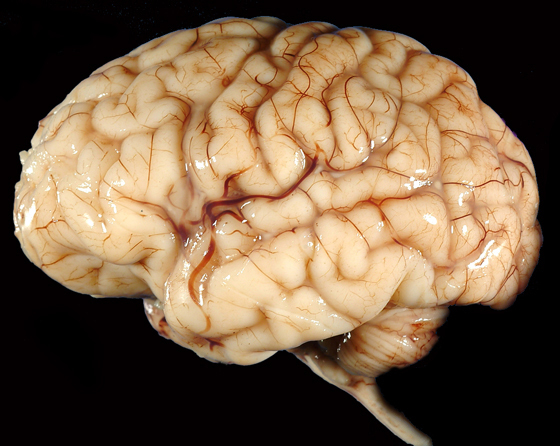 The rest of the neuromolecular facts about the brain? Which facts? There are countless facts about the brain that could not possibly be relevant to the fact that it has a mind: its weight, for example. We know this, because there is a huge range of variation in human brain mass  from the massive brain of a huge man to the minute brain of a microcephalic, who nevertheless feels pain when he is pinched. Now imagine trying to narrow down the properties of the brain to those that are necessary and sufficient for its having a mind. This turns out to be just another variant of our original question: “What kinds of machines can and cannot be conscious?” We know brains can be, but how? What are their relevant properties (if their weight, for example, is not)? Now imagine paring down the properties of the brain, perhaps by experimenting with bioengineered variations, in order to test which ones are and are not needed to be conscious. What would the test be? We are right back to Turing-testing again! The only way to sort out the relevant and irrelevant properties of the biological brain, insofar as consciousness is concerned, is by looking at the brain’s behavior. That is the only non-telepathic methodology available to us, because of the other-minds problem. The temptation is to think that “correlations” will somehow guide us: Use brain imaging to find the areas and activities that covary with conscious states, and those will be the necessary and sufficient conditions of consciousness. But how did we identify those correlates? Because they were correlates of behavior. To put it another way: When we ask a human being (or a reverse-bioengineered robot) “Do you feel this?” we believe that the accompanying pattern of activity is conscious because we believe him when he says (or acts as if) he feels something  not the other way round: It is not that we conclude that his behavior is conscious because of the pattern of brain activity; we conclude that the brain activity is conscious because of the behavior. So, by the same token, what are we to conclude when the forward-engineered robot says the same thing, and acts exactly the same way (across a lifetime)? If we rely on the Turing criterion in the one case and not the other, what is our basis for that methodological (and moral) distinction? What do we use in its place, to conclude that this time the internal correlates of the very same behavior are not conscious states? The answer to our revised question  “What kinds of machines can be conscious (and how)?” has now come into methodological focus. The answer is: The kinds that can pass the Turing Test, and by whatever means are necessary and sufficient to pass the Turing Test. If we have any residual worries about Zombies passing the Turing Test, there are two ways to console ourselves. One is to remind ourselves that not even the Blind Watchmaker who forward-engineered us had a better way: survival and reproduction are just Turing functions too: Darwin is no more capable of telepathy than we are. So there is no more (or less) reason to worry that Zombies could slip through the Turing filter of evolution than that they could slip through the Turing filter of robotic engineering (Harnad 2002). Our second consolation is the realization that the problem of explaining how (and why) we are not Zombies (Harnad 1995) (otherwise known as the “mind/body problem”) is a “hard” problem (Shear 1997), and not one we are ever likely to solve. It would be easy if telekinetic powers existed: Then feelings would be physical forces like everything else. But there is no evidence at all that feelings are causal forces. That is why our forward- and reverse-engineering can only explain how it is that we can do things, not how it is that we can feel things. And that is why the ghost in the machine is destined to continue to haunt us even after all cognitive science’s empirical work is done (Harnad 2001). Baron-Cohen, S. (1995). Mindblindness: An Essay on Autism and Theory of Mind. Cambridge, MA: MIT Press. Cangelosi, A. & Harnad, S. (2001) The Adaptive Advantage of Symbolic Theft Over Sensorimotor Toil:Grounding Language in Perceptual Categories, Evolution of Communication 4(1) 117–142. Harnad, S. (1990) The Symbol Grounding Problem, Physica D 42: 335–346. Harnad, S. (1991) Other Bodies, Other Minds: A Machine Incarnation of an Old Philosophical Problem, Minds and Machines 1: 43–54. Harnad, S. (1992) The Turing Test Is Not A Trick: Turing Indistinguishability Is A Scientific Criterion, SIGART Bulletin 3(4) (October1992) pp. 9–10. Harnad, S. (1994) Levels of Functional Equivalence in Reverse Bioengineering: The Darwinian Turing Test for Artificial Life, Artificial Life 1(3): 293–301. Harnad, Stevan (1995) Why and How We Are Not Zombies, Journal of Consciousness Studies 1:164–167. Harnad, S. (2001) No Easy Way Out. The Sciences 41(2) 36–42. Harnad, S. (2002) Turing Indistinguishability and the Blind Watchmaker. In: J. Fetzer (ed.) Evolving Consciousness Amsterdam: John Benjamins. Pp. 3–18. Premack, D. & Woodruff, G. (1978). “Does the chimpanzee have a theory of mind?”, Behavioral & Brain Sciences, 4, 515–526. Shear, J. (Ed.) (1997) Explaining Consciousness: The Hard Problem. Cambridge, Mass. : MIT Press, 1997. Turing, A. M. (1950) Computing Machinery and Intelligence. Mind 49:433–460. Whiten, A. (Ed.) (1991). Natural theories of mind: Evolution, development, and simulation of everyday mindreading. Oxford: Blackwell.